A fine selection of some of the best Car related Guinness World Records. With the mind blowing speed of 217.973 km/h, Kuba Przygoński has just set the new Guinness World Record for high-speed drifting! The magic happened on a military airport in Biała Podlaska – Poland. The ORLEN Team member, behind the wheel of a massive Toyota GT86 with 1068 horsepower under the bonnet, reached the average speed of 217.97 km/h with controlled skidding and the maximum slip angle of 49 degrees. Entry speed 256km/h, drift speed 217km/h. The GT86 has been known since its launching for its drifting capabilities thanks to its very low centre of gravity (Feel free to check the review of the GT86 and Subaru BRZ by clicking here). Add to it about 868hp and you got yourself a Guinness World Record breaking machine! Abdo Feghali (Professional Lebanese rally driver) you better beware, judging by that thing he drives, I think Kuba is going for the longest drift record very soon. 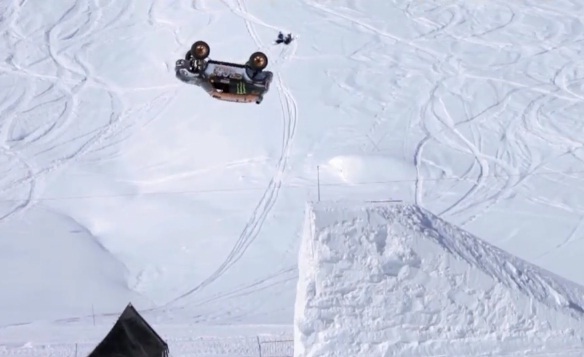 After launching a teaser (which you can access by clicking here), MINI finally released the full video of there attempt to achieve a backflip in a MINI! 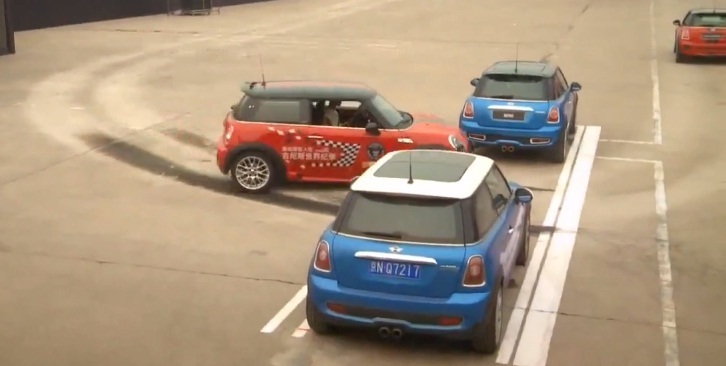 They used the over modified super light MINI JCW Coutryman rally car for the stunt. It was driven by Chicherit, a world champion freestyle skier and champion rally driver. He completed the jump in Tignes, France. The suspension was modified in order for it to be able to absorb the chock of the landing. 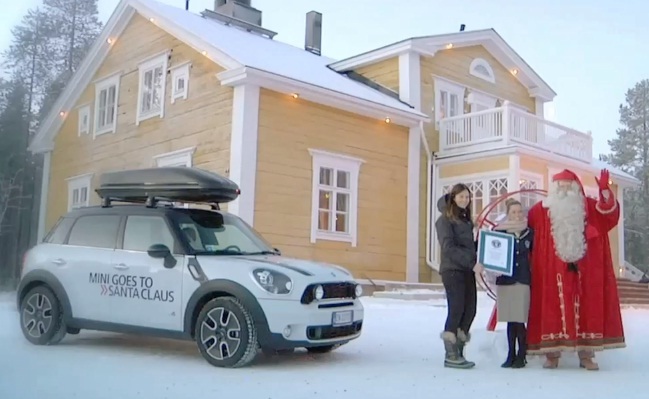 MINI claims to have achieved the first unassisted backflip in the world. By “unassisted” they mean that nothing was used to help the car rotate. Impressive! Mercedes Commercial: Guinness World Record. I mentioned the SLS AMG in my previous post “Super Service” that featured Roger Federer. For this commercial, Mercedes has attempted to win the Guinness World Record for the ‘Furthest Golf Shot Caught in a Moving Car.’ Jake Shepherd (professional UK golf player) launched the golf ball from the tee at a speed of 286.46 kmh, and David Coulthard (professional British Formula one driver) made sure it landed in the SLS AMG, 275 metres down the runway. Mercedes were the ones to set the record, there were none before. With this trend of creating a convertible edition of every super car, I think the record is gonna be broken very soon.